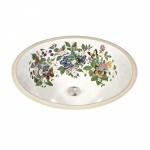 This sink was featured in Arts & Crafts Homes magazine. Always an honor to get some free advertising. 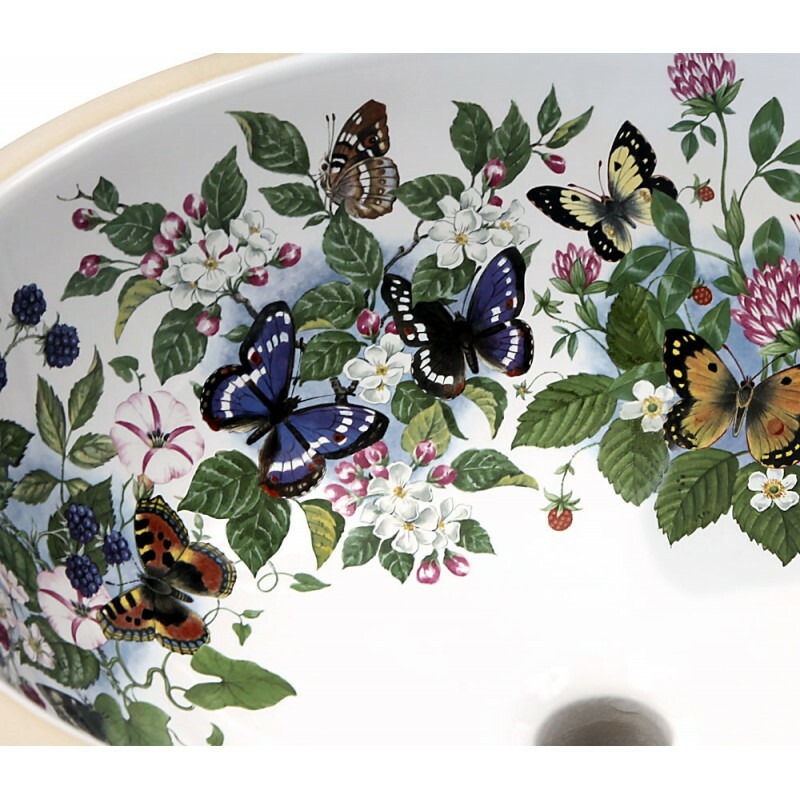 The design is one with several colorful butterflies and blossoms of fruit including strawberries, clover and blackberries. It's painted in really nice colors, lots of them to choose from. 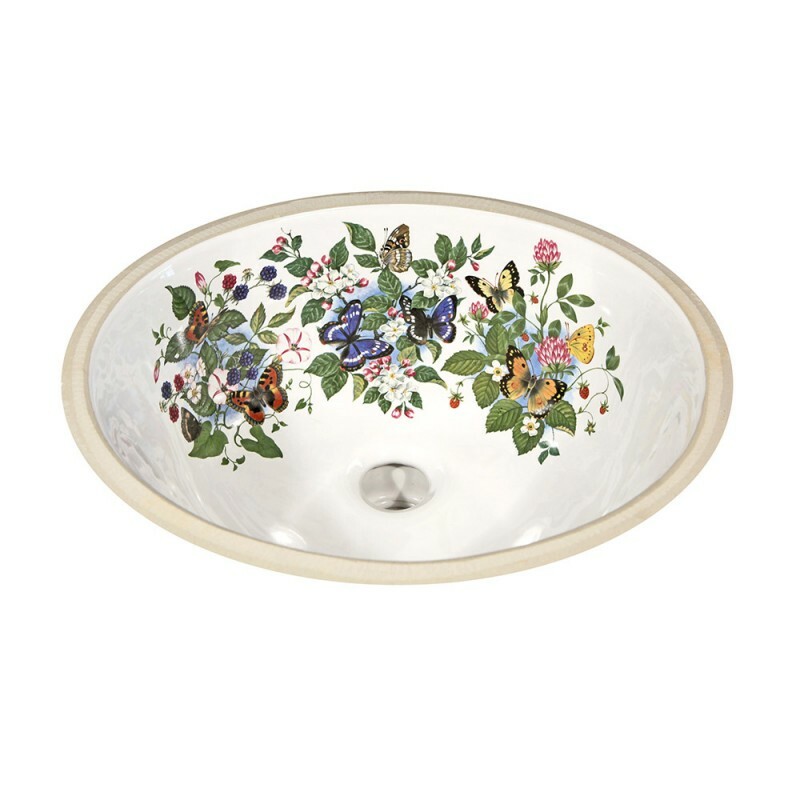 Shown on a white undermount sink with a center drain. 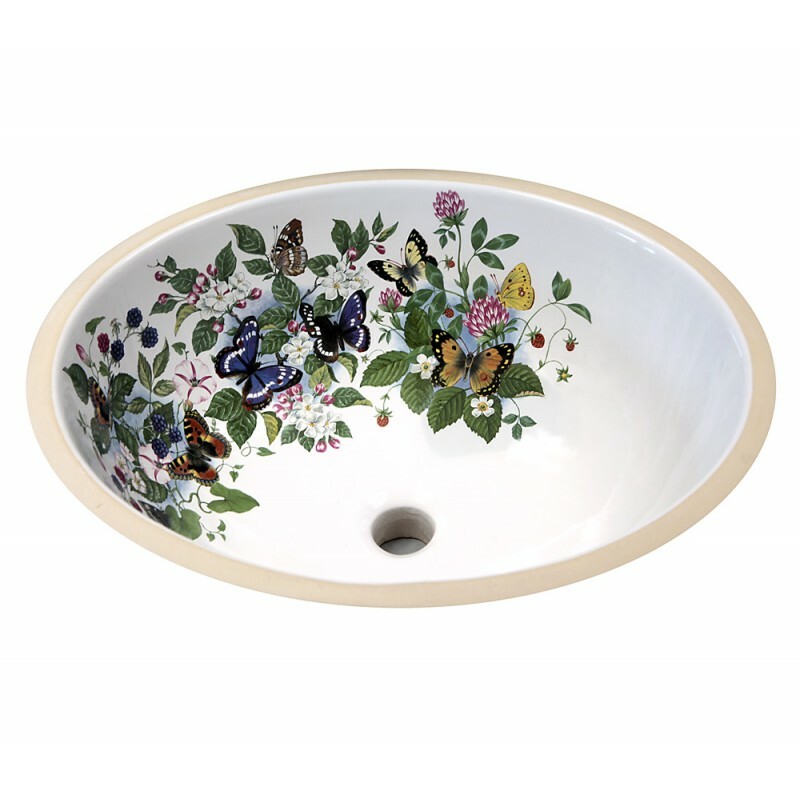 Can also be applied in the center of the back of the sink, like the alternate photo, which is painted on a smaller 14" wide basin. Can be adapted to any sink. Visit the Fixture Choices page for options. Looks beautiful on a biscuit fixture too. I received both the sinks and I love them, thank you for the cup and the soap dish they are awesome!!! Thank you Lynne, you are the best to work with and I will be telling everyone about your, when they see my sinks they will probably ask. I purchased two of the butterfly sinks for the master bath in our new home and they are absolutely beautiful! I get so many compliments on the sinks, they add a special touch that is so unique. I was worried about how easy it would be to keep them clean without ruining the finish but I have had no problems and purchased the sinks a year ago. They get daily use being in the master bath and the finish still looks brand new. I would highly recommend purchasing any of the painted sinks from Lynn and Decorated Bathroom. My beautiful sink arrived this morning. Looks great.